We offer exclusive production lines for ready to eat baked and fried type extruded snacks. The extruder line incorporates state of the art technology complete with design and technical support, modifications are incorporated to suit local conditions. 125 kg/hr Finished product and onwards. 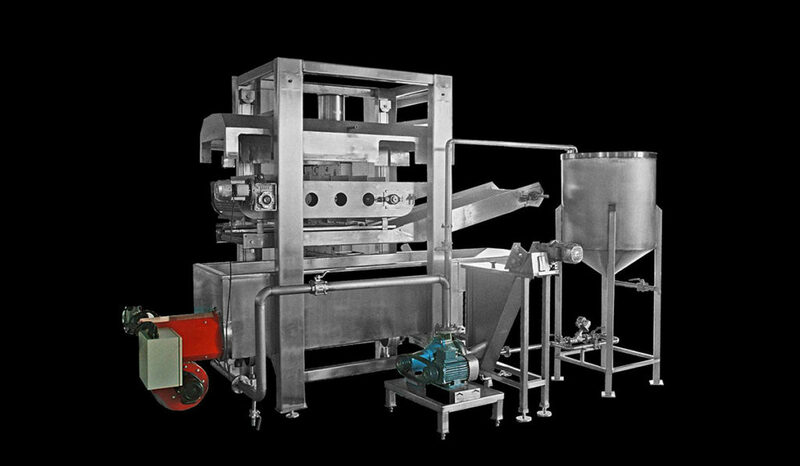 Produces extruded snacks in various size and shapes which includes Curls, Balls, Rings, Wheels, Tubes, Chips, Sticks, Popcorn etc. Degermed Corn Grits, Rice Grits, Potato granules etc., are the ingredients used. 20+ years experience in setting up food factories/.References in 20+ countries.